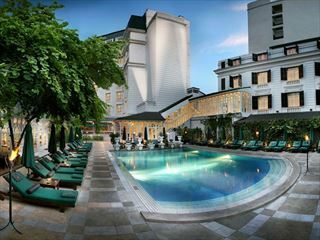 The Silk Path Hotel presents a comfortable choice for any couples contemplating experiencing the merry-go-round of life in Vietnam's capital city, Hanoi. Guest rooms provide the perfect base from where to rest and relax after a good day spent exploring the city and if you're interested in the culture, the history and the shops, then this is the ideal location from where to start and end your quest. 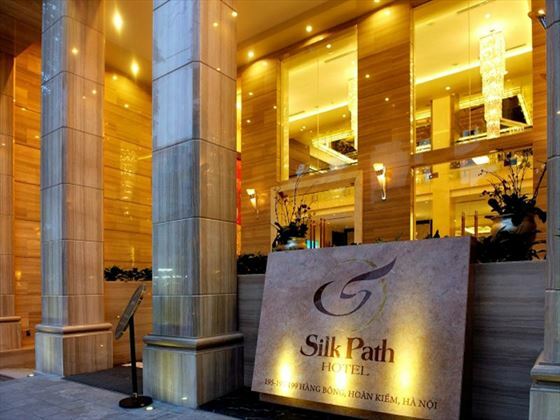 With a reasonable sized gym and spa suite on-site as well as a couple of bars and restaurants, the Silk Path offers a sensible solution to staying in Hanoi with plenty of elegant and stylish touches to keep guests coming back for more. 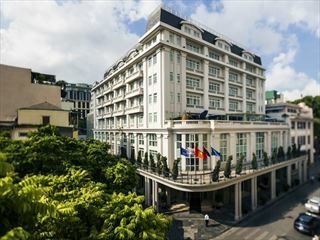 Situated on Hang Bong Street in the Hoan Kiem downtown and commercial district of Hanoi, close to the Old Quarter, Hanoi Opera House and legendary Hoan Kiem Lake from where the area gets its name. Noi Bai International Airport is around a 40 minute drive away. 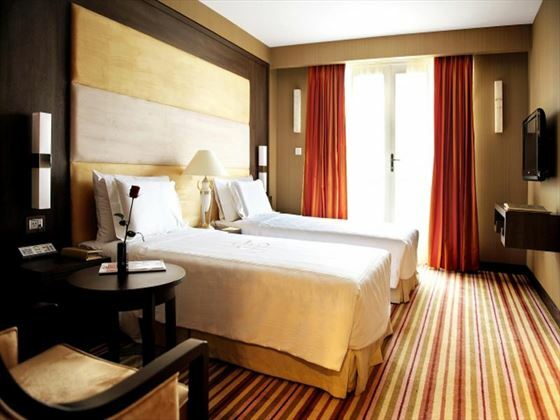 Deluxe Rooms – compact, comfortable and stylish room arrangement with a choice of one double bed or two twin beds as well as a good range of modern technology. 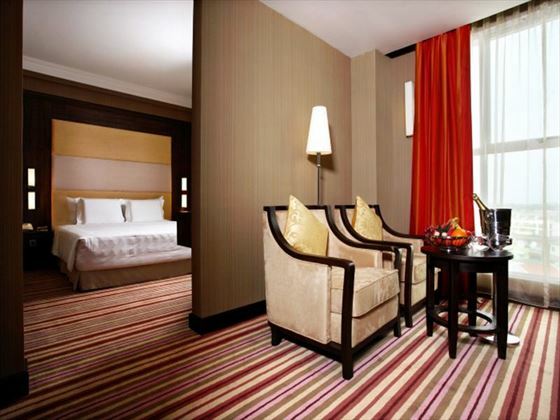 Premium Deluxe Rooms – around the same size and contents as Deluxe Rooms with the added benefit of city views. Executive Rooms – larger than above rooms with one double bed, upgraded amenities and services as well as good views from a higher floor location. Premium Executive Rooms – larger than Executive Rooms with choice of one double bed or two twin beds as well as floor to ceiling windows and private balconies. Presidential Suite – five times the size of most Silk Path guest rooms with two bedrooms, two bathrooms, one guest room, bathroom with Jacuzzi and steam bath as well as fully equipped kitchenette and bar area. 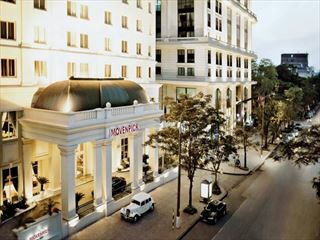 La Soie de Hanoi – international buffet breakfast venue with Vietnamese specialities alongside familiar international favourites. Bellissimo – western and Asian dishes with the emphasis on the Mediterranean; open for lunch and evening meal. 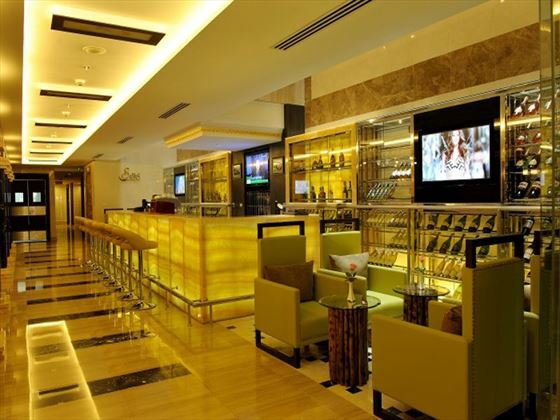 Silk Premium Bar – wines, draft beers and cocktails served alongside the Bellissimo restaurant. Piano Bar – morning coffee, high tea and a good choice of drinks, wines and cocktails served throughout the day in lounge bar surroundings. Gym suite with treadmill, static bike, rowing machine and cross trainer. Spa centre and juice bar for steam, sauna and Jacuzzi pampering.